Shih-shan Henry Tsai’s seventh book provides a chronicle of a leader’s life, and a description of the evolution of a country of key interest to the global economy. Today, Taiwan is an economic powerhouse, a small island with 23 million people, nearly 3.7 percent of the world’s gross domestic product and over $375 billion in foreign reserves. The country’s history is entwined with that of Lee Teng-hui, who served as mayor of Taipei, governor and vice president of Taiwan, and finally president of Taiwan for 12 years. As an island nation, Taiwan is vital to controlling the sea lanes. Despite Taiwan’s current democracy, China still claims sovereignty over Taiwan. Because Taiwan generally shares American values and also occupies an important strategic position in the West Pacific, the United States wants to keep communist China from swallowing Taiwan. Against this backdrop, Tsai’s book presents the current challenges of U.S.-China-Taiwan relationships. Tsai tries to answer questions about his protagonist, who has been called an opportunist by some and a hero by others. 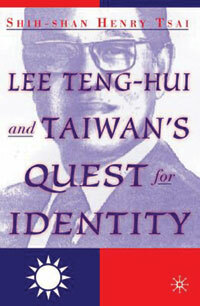 He concluded that as the leader of Taiwan, Lee finally could speak from his heart of hearts.